Life Chains are peaceful, prayerful public witnesses of prolife advocates standing together in prayer for an end to abortion and offering a message of compassion and healing for all suffering as a result of abortion. 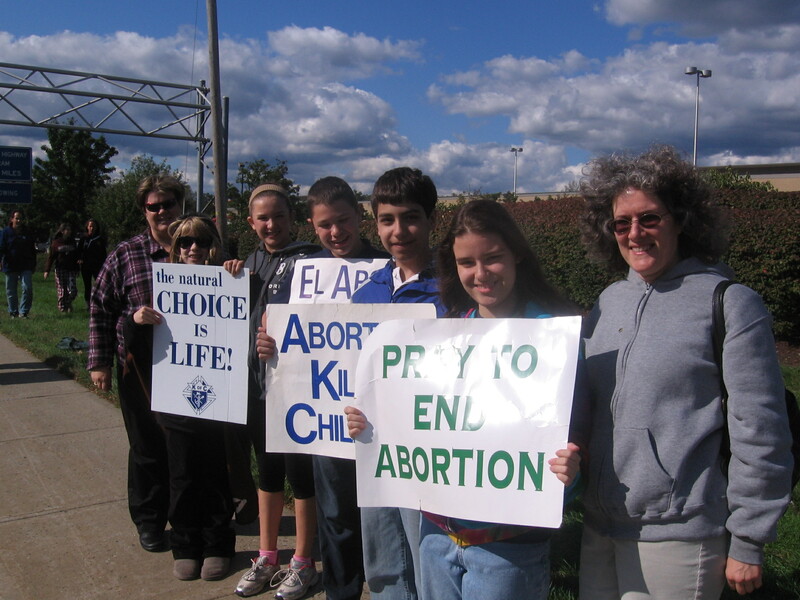 This year, the 21st Rockland Life Chain again will be held at the intersection of Route 59 and Middleton Ave. on Oct. 6, Respect Life Sunday, 2 to 3:30 pm. There will be 29 Life Chains taking place simultaneously in surrounding counties in New York City and the Hudson Valley. If you feel the inspiration to do something to help end abortion, but the March for Life in Washington, D.C., in January is too cold or far away, this is the place to come. It is primarily a prayer event. The back of those signs you may have seen people holding are printed with prayers that you can use. You’re welcome to bring your Bible or say the rosary. The stretch of Route 59 just beyond the Memorial Park with the flags on the northeast corner of the intersection is the quieter part of the Life Chain, and you may want to go there to spend the time in prayer. Things are a little more lively on the part of Route 59 in front of the mall with Barnes & Noble and Panera Bread. There you will find the larger groups — the Albertus Magnus Prolife Club and the youth group from St. Anthony’s Church. Families bringing their children like to come to this spot too. The St. Joseph’s youth group is usually across the street on the Nanuet Mall side. The Knights of Columbus can usually be found right at the intersection of 59 and Middletown. And there you may see the Sisters of Life, too. And hundreds of other people just like you who are there because they still believe — even when all seems dark — that life is good and there is always hope. And there have to be people who will stand up and say so. This year, the Life Chain is dedicated to the late John Davidson of Congers. There will also be a contest this year. This website is looking for photos that capture the “Spirit of the Life Chain 2013.” So bring your camera or phone and show us what the Life Chain means to you. What do you see that says that Life is a gift from God, a miracle, the most fundamental right we have? And who are the prolifers — the families, the young, the old, the prayerful, the caring, the people who will stand up to help? Show us in a photo. Send it to 201-739-4413 or email it to RocklandRTL@optonline.net. Winners will be posted on this site and PRIZES will be awarded. This entry was posted in Life Chain by rocklandrtl. Bookmark the permalink.